Before there was Felix Unger and Oscar Madison there was Don “Doc” Shirley and Tony “The Lip” Vallelonga; their interactions in Peter Farrelly’s first directorial outing make for a pleasurable buddy and road picture (‘based on a true friendship’). 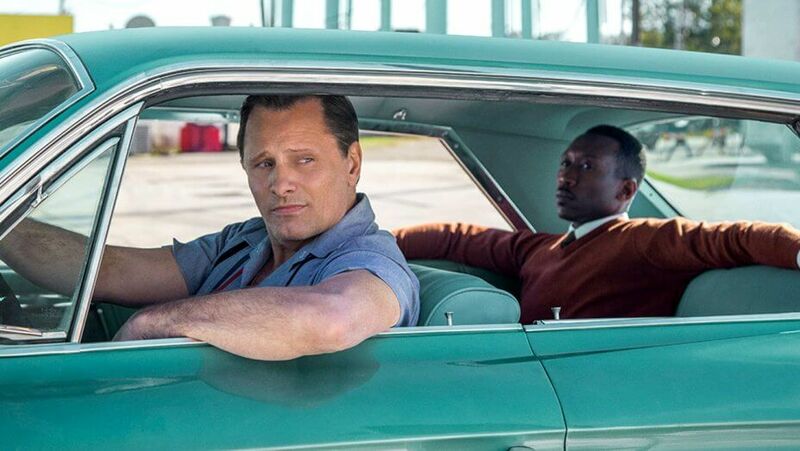 That’s because Green Book (co-starring Linda Cardellini) has Viggo Mortensen as motormouth goombah small-time hustler Tony and Mahershala Ali as the renowned jazz pianist Doc. It’s autumn 1962 and the refined Doc (who dwells above Carnegie Hall) needs a chauffeur for his three-man tour from the Midwest through the Deep South. Turns out the Italian guy from the Bronx (in need of employment) happens to be just right for this excursion. Farrelly (known for his zany forays with brother Bobby in films like Dumb & Dumber and There’s Something About Mary) eschews the gratuitous for a predictable route that is funny and finally heartwarming because of the way Mortensen (Captain Fantastic) and Ali (Moonlight) play off one another, really appreciating going against type. Doc isn’t fond of Tony’s language and Tony takes umbrage at Doc’s snootiness. A tactile vibrancy is what being in the presence of these two provides. The best thing Farrelly probably did was let the two accomplished thespians establish a timing and rapport that bristles in crowd-pleasing fashion as it’s hard not to see where the relationship of these two is headed. With hardly any bumps to its destination.